LIVE piano painting event on the 16th Street Mall! Please join me on the 16th Street Mall between California and Welton on May 17th! 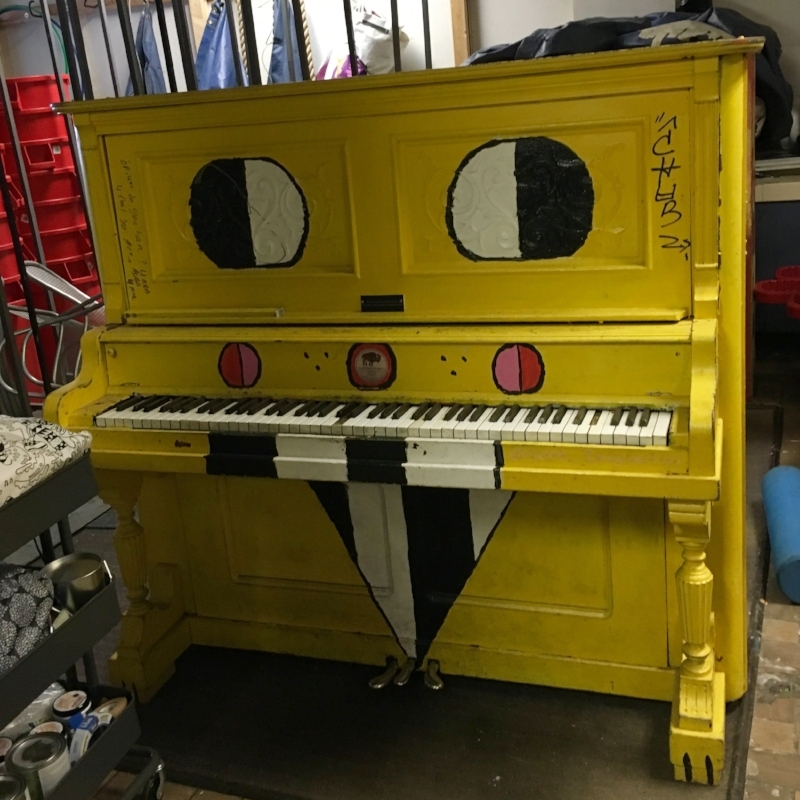 I will be painting a piano LIVE on the street! There will be a DJ and up to 4 other artists transforming pianos that will adorn the Mall for all to enjoy and play for the summer months! hint: it's no longer yellow! poor thing needs a makeover! As a CO native and local artist, I am incredibly honored to be a part of Your Keys to the City! This special street-art program is produced and sponsored by the Downtown Denver Business Improvement District and the Denver Downtown Partnership with the intention of bringing our community a little closer through art and music. I am grateful for the opportunity to share a little love with the LODO peeps! Ill post the final transformation on my blog and on social media! enjoy the colors of life!! May Ladies Night Out @ Unlisted!! 1st Thursdays! !